GAINESVILLE, Fla. – Upon receiving his offer to the PaCE program, Zachary Silver was hesitant about exploring uncharted territory as one of the first students to ever be admitted into the program. But looking back, he realizes that becoming a PaCE student was one of the best decisions he’s ever made. It gave him the flexibility of staying in his hometown of Orlando during the first year to spend time with his grandfather, who passed away in February 2018. Growing up, Silver and his grandfather were always close. His grandfather would come out to support him at all his soccer games, and the pair would frequently go golfing. During Silver’s first year in PaCE when all of his classes were online, he drove his grandfather to and from doctor’s appointments and occasionally watched soccer games with him. As they went on their regular car rides, his grandfather would tell him stories about how he immigrated to the U.S. from Colombia and worked his way up through different factory positions and odd jobs. Silver remembers how they would always drive past a bus depot and how his grandfather would tell him about his years working there cleaning buses. Although Silver didn’t speak much Spanish, and his grandfather didn’t speak much English, the language barrier didn’t keep them from communicating. Inspired by his grandfather’s stories, Silver hopes to follow in his footsteps. 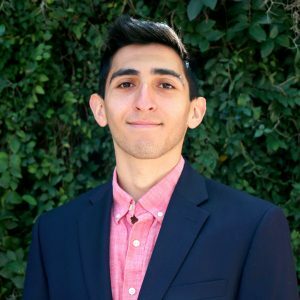 Silver plans on moving back home after graduation to assess future job opportunities that will utilize his minor in the business field. Graduating in three years as one of 10 first-time PaCE students, Silver said he is excited to get out into the job market a year early. Looking back on his time in PaCE, Silver is grateful for what the program taught him about self-motivation and hard work and the opportunity it gave him to stay at home his first year to be with his grandfather. 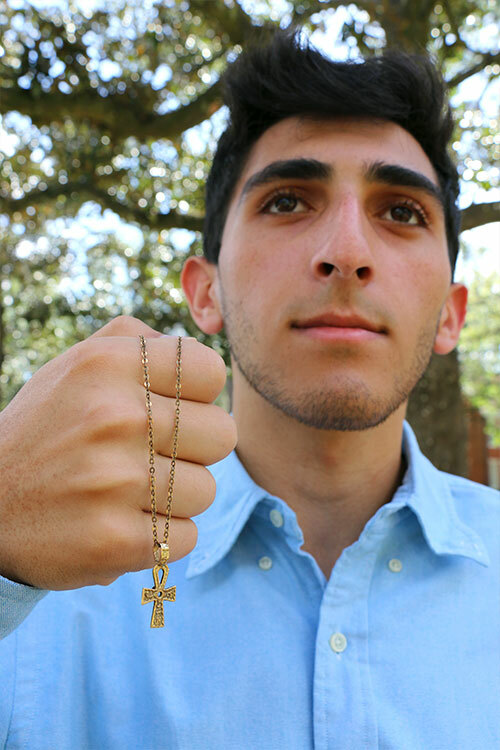 Zachary Silver, sociology major, kept his grandfather’s necklace with him throughout college. “It represented him giving a part of himself to me, so I could always keep him close and to give me strength to get through anything,” Silver said.